Planetary-scale analysis. Asking bigger questions of data. Pulling space closer to humanity. It’s all part of a growing trend of cloud adoption in the field of planetary science. And with cloud computing affording a once-unimaginable reach into space, paired with the capacity to analyze petabytes of Earth-observation data, our customers have remarkable, new stories to tell. 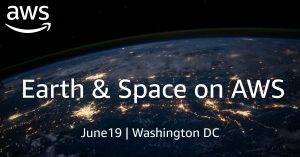 This is how the stars aligned for Earth & Space on AWS – a new addition to the upcoming AWS Public Sector Summit – Washington, DC, pre-day experience. 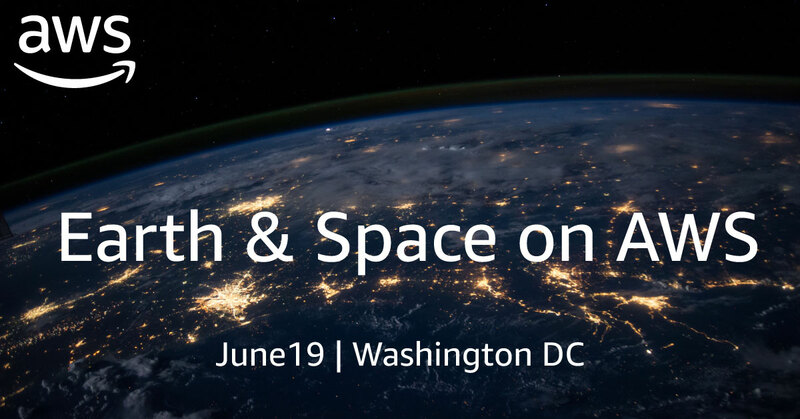 Attendees will enjoy knowledge sessions like Machine Learning with Earth Observation Imagery and Blue Origin: Powered by Rocket Fuel and AWS, as well as a keynote led by Blue Origin’s Senior Vice President, Rob Meyerson. The thoughtfully crafted content should provide a transformative experience. To further unearth this topic, the latest edition of the AWS Public Sector Podcast features an interview with Jamie Baker, a leader in our Health and Science division. Jamie has had a privileged view into the work of some of the most innovative researchers and data scientists in the U.S. federal government. He describes how earth and space study is evolving, now with the scalability, compute capacity, and agility of the cloud driving new possibilities in science. He even speaks to the mind-blowing concept of our potential to one day become an interplanetary species. Join us on June 19. And together, we’ll explore the final frontier through the lens of the cloud.